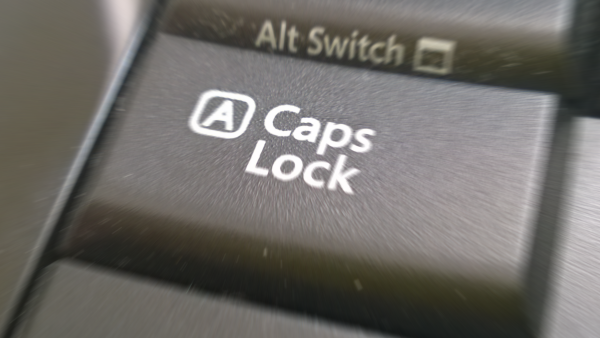 How often do you actually use CapsLock – deliberately that is? We can stop CapsLock from doing it’s capsy thing using AutoHotkey. Now the CapsLock key doesn’t do anything, the caps LED on the keyboard doesn’t even light up. This will trigger F6 in all applications, not just in Visual Studio. Here the remapping only occurs if the window title contains “Microsoft Visual Studio”. (The SetTitleMatchMode command tells AutoHotKey to look in any part of the title for the match. Now, outside of Visual Studio, CapsLock behaves normally, but inside VS it will perform a build. To learn more about AutoHotkey, check out my Pluralsight course: Personal Productivity & Performance Tools for Windows Developers.